YBNR Coaches on the field at Citi! Our YBNR coaches took training tips from the coaches of the NY Mets on the field at Citifield! YBNR coaches and board members participated in the New York Mets Coach’s Clinic day on June 2. 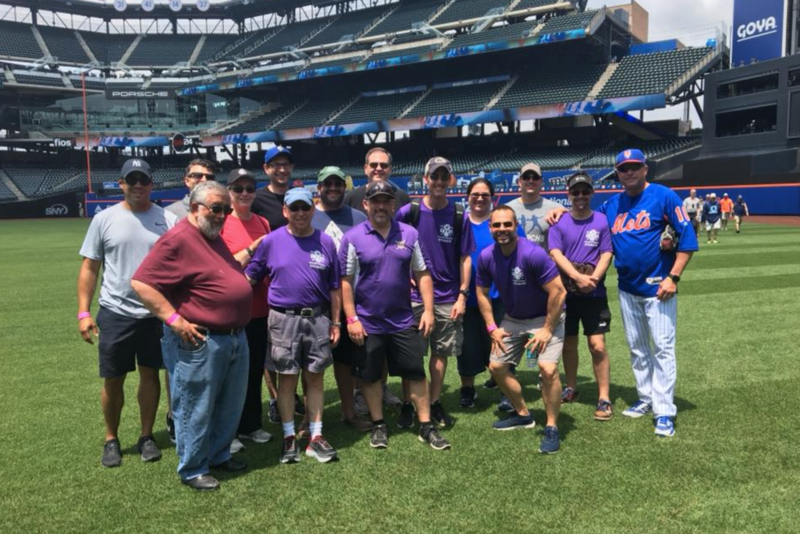 YBNR volunteers were given rare behind the scenes and on-field access to CitiField, including the outfield bullpens and batting cages behind the Mets’ dugout. They learned from experienced ground crew staff about field maintenance, including preparation of pitching mounds and maintaining infield/outfield playing surfaces. Mets’ coaches Gary DiSarcina (bench coach), Ricky Bones (pitching coach), Tom Slater (assistant hitting coach) and Dustin Clarke (strength and conditioning coach) all discussed playing, training and conditioning techniques/programs used by them on a major league level, and gave suggestions on how to adapt them for use with younger, youth baseball age players.